Warren Buffett said his Berkshire Hathaway Inc. made only one “sensible” stand-alone acquisition last year, and it didn’t do much for his growing pile of cash. Berkshire paid $2.76 billion for its 38.6% stake in Pilot Travel Centers, the owner of the Pilot Flying J truck stop chain, according to an insurance filing. Berkshire didn’t disclose the purchase price when it announced the deal in October, and hasn’t revealed the figure in subsequent reports to the U.S. Securities and Exchange Commission. 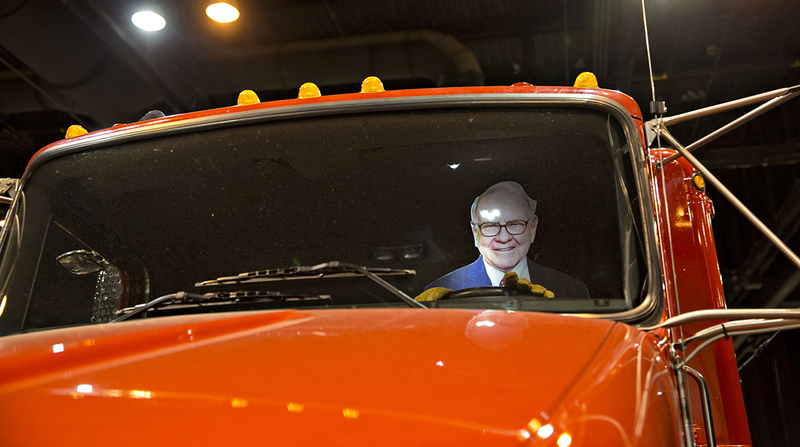 Buffett is seeking large investments that will eat into his excess cash and earn better returns. The company ended last year with $116 billion in cash and Treasury bills amid what Buffett called a “drought” in deals. He told Berkshire shareholders in his annual letter in February that the company’s only “sensible stand-alone purchase” in 2017 was the travel center operator Pilot Flying J, and that Berkshire will need to make one or more “huge acquisitions” to boost earnings from non-insurance-related businesses. Berkshire will eventually become a bigger shareholder in Pilot Travel Centers. The company agreed to increase its stake in the firm to 80% in 2023. Pilot Flying J has been run by Jimmy Haslam, the son of Pilot Corp. founder Jim Haslam, since 1996. The Haslam family will retain a 20% stake in the parent company.